Home / Posts tagged "auto install"
Hello Everyone! Assume you have just received brand new Tomattos Dediacted or VPS root access or just reinstalled your server freshly, you might want to install the robust control panel Virtualmin. Virtualmin is the second most widely used and #1 open source server control panel. You might find it handy and want to use it for your server. Virtualmin, worlds #1 open source server control panel by popularity! Just quick check your server minimum requirements along with compatible linux distribution. By default all our dedicated server and vps are perfectly compatible with virtualmin. 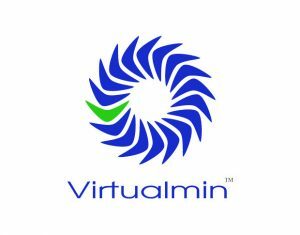 We will now discuss about the automatic installation of Virtualmin.  The automated installation described here is highly recommended, as it removes many possible errors during configuration and insures that all applications are built with appropriate options for virtual hosting within the Virtualmin system. If you haven’t read the Download page yet, you should do so now, as it provides all of the steps needed for installation in most cases on a single page. You should only proceed to more complex installation docs, if the steps provided on the download page won’t work for you. In most cases, installing Virtualmin is as simple as installing a supported Operating System of your choice, followed by running Virtualmin’s install.sh script. We recommend using a server version (or minimal version, with sshd if it is not part of the default install) of your Operating System. Virtualmin’s install.sh script will install any additional packages that it requires. If you wish to use multiple partitions, it’s no problem to put /home and /var onto a separate partition. Virtualmin puts all user data, including websites and email, into /home. Database data and log files are stored in /var. If you choose to use multiple partitions, we’d suggest devoting as much space as possible to /home. Download the file from the Software Licenses page on your Account page, under the Software Licenses tab, if you’re using Virtualmin Pro. All of your purchased products will be available for download throughout the life of your license period. If you’re using Virtualmin GPL, that can be downloaded from the Download page or from this link. For the most reliable, predictable, and well-tested configuration, use the default installation target. Minimal and LEMP modes are new in Virtualmin 6.0 and have had much less real world testing than the default. The Virtualmin install script can setup Apache or nginx. The default, and best-tested and most feature-complete, is Apache. But, if you prefer nginx, you can install a bundle with the LEMP stack instead of the LAMP stack. Use the –bundle LEMP option for nginx. The full LAMP or LEMP stack, plus a full mail processing stack including SpamAssassin and ClamAV, is quite large, requiring about 1GB minimum system memory in order to function well (and more is better). If you’re using a lower memory system, it’s not recommended, and maybe not even possible, to run the full mail stack along with LAMP or LEMP. So, we provide an installation option, –minimal, that leaves off much of the mail processing stack. 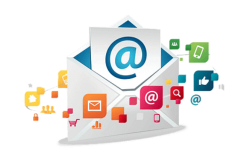 The installed components can still send and receive mail from local processes, but SMTP authentication and IMAP/POP are not installed or configured, and spam and AV scanning will need to be outsourced to a remote system (for example, a Cloudmin Services host). The minimal installation type can probably operate OK with only 512MB of RAM. If your system does not have a fully qualified domain name (FQDN), the installer will stop and ask you to choose one. 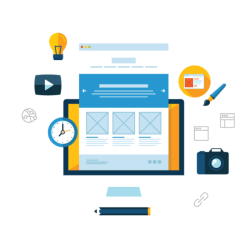 This is mandatory because many services rely on having a fully qualified domain name in order to function. Mail, in particular, but some Apache configurations and many of the Virtualmin-created configuration files, also require a valid fully qualified domain name to function correctly. A fully qualified domain name is one of the form “www.virtualmin.com”, or simply “virtualmin.com”. We recommend you choose a name that is not one for which you will be receiving mail, in order to simplify later configuration. A good choice is to use a name server designator, such as “ns1.virtualmin.com”. Some customers also choose something like “host1.virtualmin.com” or “primary.virtualmin.com”. Any of these would be valid and would satisfy the install script and the services that rely on this option. The install script will add this name to /etc/hosts, which will satisfy all local services. It is even better if this name resolves correctly when looked up from outside of the system–this requires the name be added to your DNS zone for the second level domain. If the Virtualmin server you are installing will be the authoritative name server for this zone, you can later use Webmin to add a record for this name to the zone. Dont have Virtualmin Compatible Server yet? Here is the VPS or more robust Dedicated Server for you!